A sturdy Jute Shopping Bag. 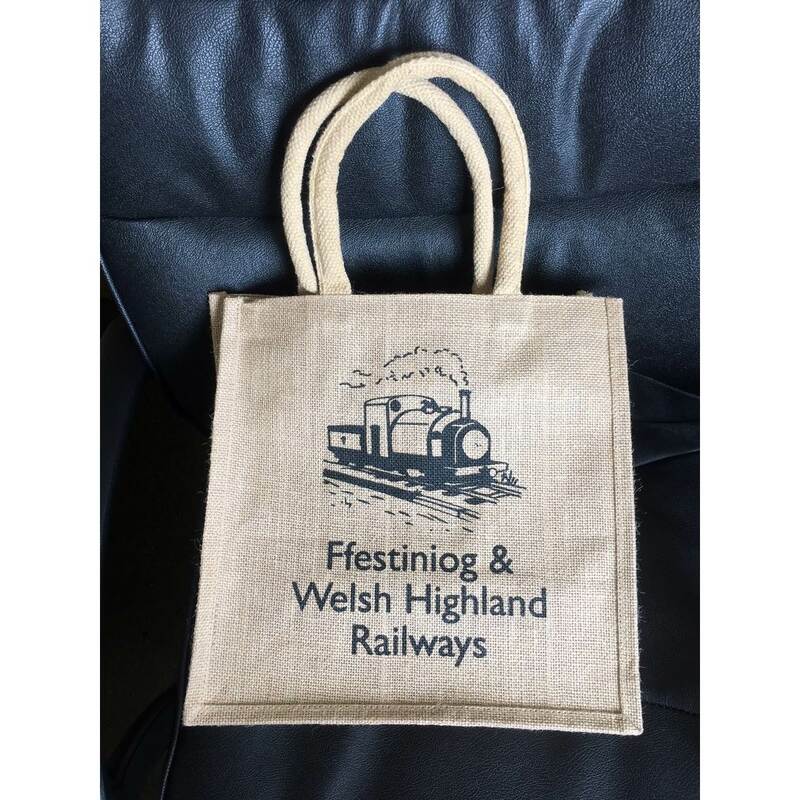 Save those annoying 5p plastic carrier bag purchases and shop with this smart Ffestiniog & Welsh Highland Railway Jute bag ! !